The Jeep Wrangler is as American as a cowboy riding into the sunset wrapped in a stars and stripes cloak and with a Bud in his hand. Yet somehow it also manages to perfectly suit the misty, sodden surrounds of the Lake District in February. We’re here to drive the new car for the first time in the UK and, to really test it, PH has organised one of those fine drizzles that soaks everything, on a week when the rest of the country is bathed in sunlight. Don’t say these tests aren’t thorough. 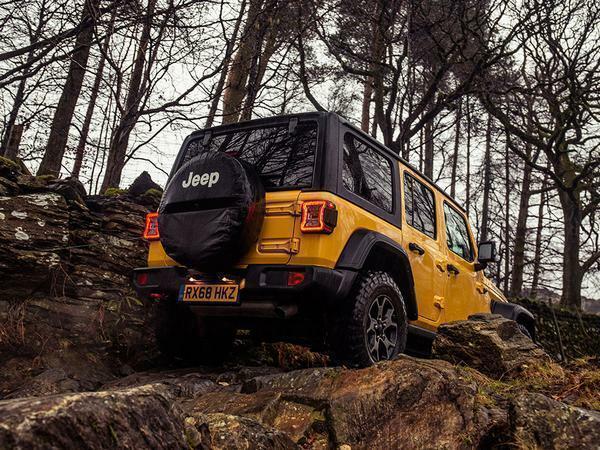 For the new Wrangler to achieve Fiat Chrysler Automobiles' sales ambitions in Europe, it'll have to be as effective on the road as it is at clambering over moss-covered rocks and wading through mud in Cumbria. 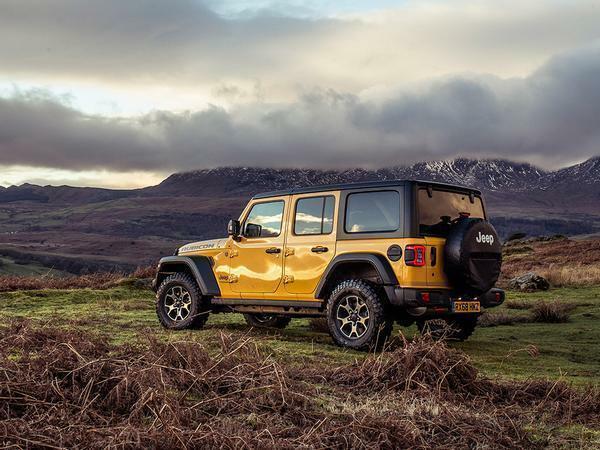 UK managing director Arnaud Leclerc wants the Wrangler to shift from being a “niche product” on this side of the Atlantic to something more mainstream. With the next Defender still a year away from production - and likely to lose at least some of the original’s retro charm - you might think those targets an open goal. 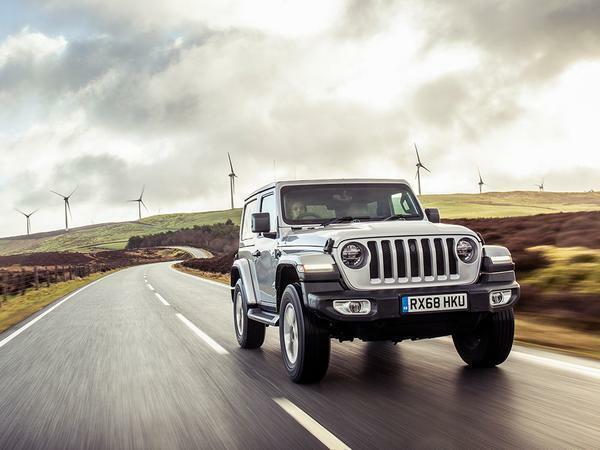 Jeep’s already excited by recent momentum, with 194,000 cars shifted in Europe last year, a 48 per cent improvement on 2010 (although in the UK, the brand remains tiny, with only 6,100 cars sold). 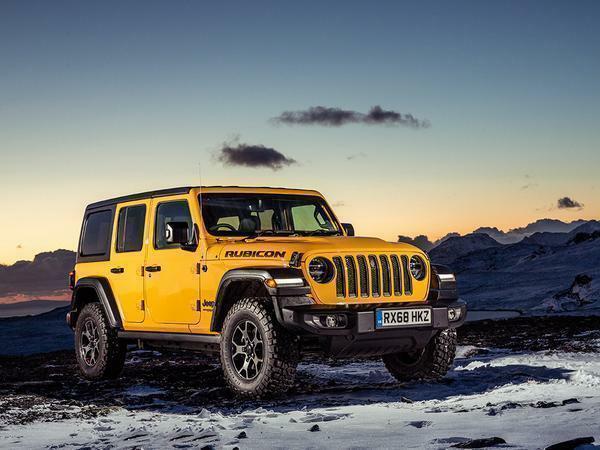 But unlike its siblings, which face rivals from almost every mainstream manufacturer, the Wrangler has a fresh chance to really capitalise on its uniqueness. What can we actually compare it to? 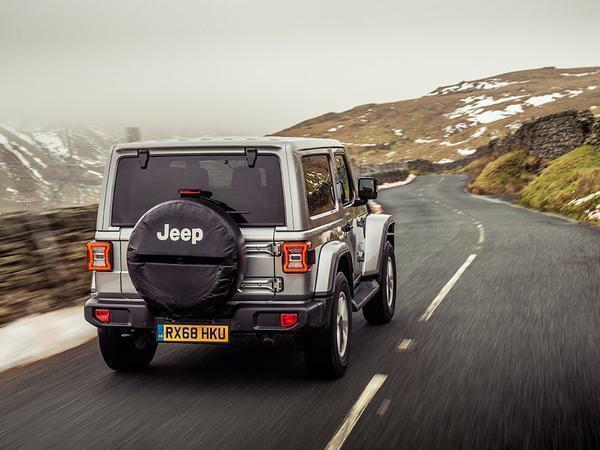 The Suzuki Jimny is smaller and simpler, the Mercedes G-Class is larger and significantly pricier and the Defender is - well, we don’t know yet. 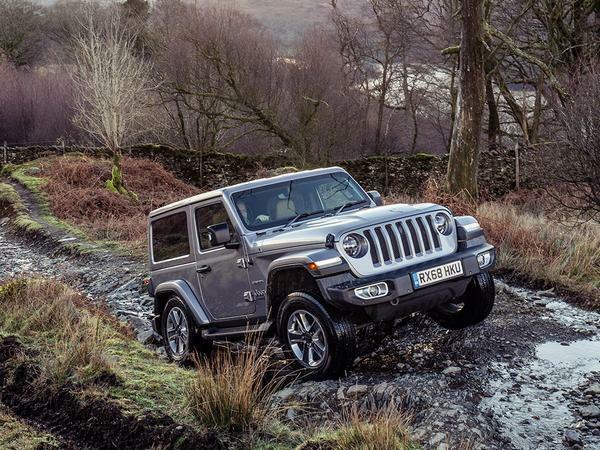 The Wrangler might yet prove the default choice for those who want a proper off-roader with modern usability. 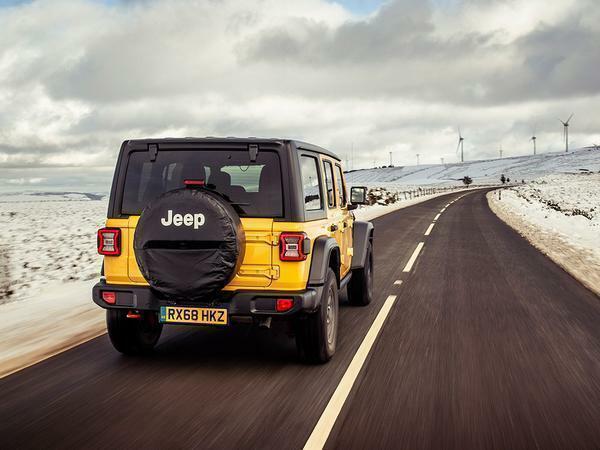 That last trait is key in the new Wrangler because, as we found out upon first meeting the new model in Italy in last year, its on-road functionality has been greatly improved. 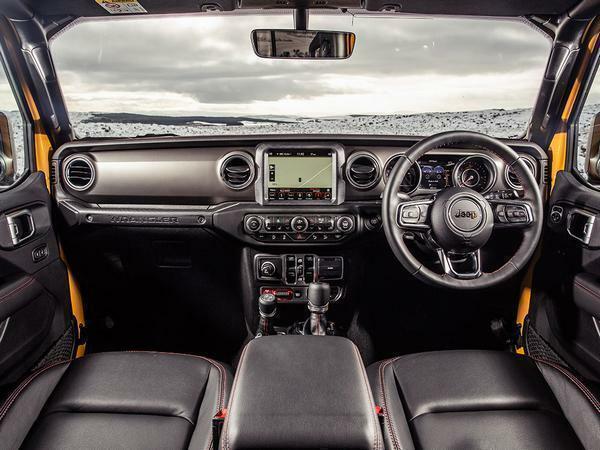 Amongst the grab handles and chunky buttons that keep the theme true to the old JK-gen model, there’s an 8.4-inch infotainment display which responds to touch even if you’re wearing gloves and features bespoke Jeep menus, including an off-road page that shows live pitch and roll angles. 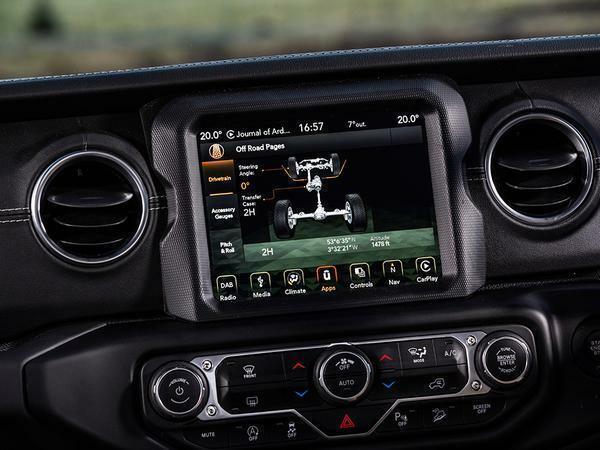 Ensuring the Wrangler’s very much a 21st century 4x4 is a customisable 7.0-inch digital instrument cluster. Ok, so the dash’s leather wrap feels a little cheaper than what you might get in more conventional SUVs and the overall fit and finish could be better, but it’s big step forward from the previous car. 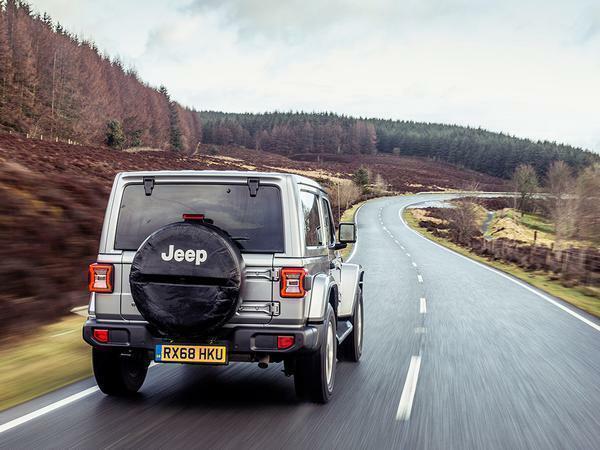 We begin in an entry-level three-door Sahara, which comes with the digital tech as standard, but doesn’t get leather upholstery and a few of the extra driver-assist features added to the higher-ranking Overland. 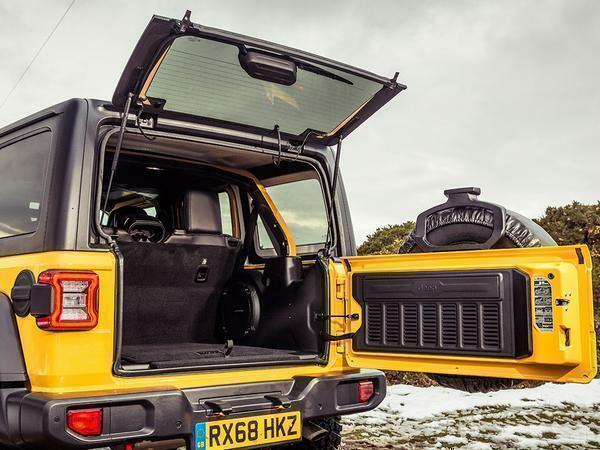 You do still get the three-piece removable hard top, however, as that’s standard on the Wrangler and a key party piece when it comes to distinguishing it from anything else on the market (there’s an optional power soft top and a removable fabric alternative as well). Even in an option-light Sahara there’s plenty of kit – too much to list here – so you’re not wanting for equipment. This car’s fitted with the 2.1-litre diesel, a 200hp and 332lb ft of torque-producing Multijet four-cylinder, and it certainly feels up to the job even if the noise is a little agricultural. Peak torque’s delivered from 2,000rpm and the car’s automatic eight-speed gearbox is keen to keep the motor spinning around that range so it always feels sharp and responsive. 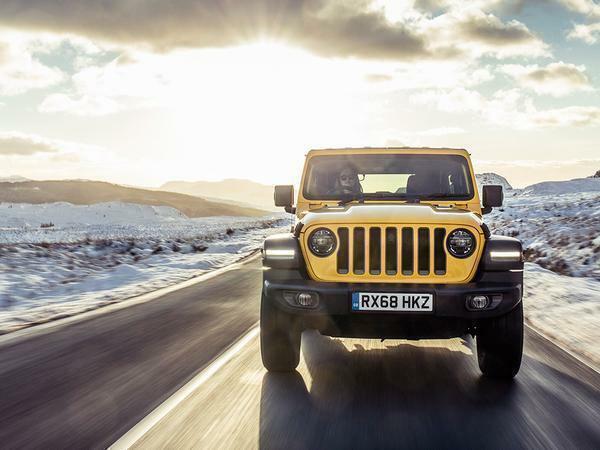 On Cumbrian B roads the new Wrangler is a significantly more settled beast than the old one, with lighter thuds felt through its suspension over ridges and a generally more composed attitude at speed. It’s not going to win over anyone who’s used to the handling of a road-biased SUV or crossover, but it’s perfectly competent and only the extremely slow steering – 3.7 turns lock-to-lock – requires you to adapt your driving style. Since the Wrangler continues to use a body-on-frame architecture it always feels like a proper 4x4, but body control is decent enough for it to not tip and roll unduly. Of course, this construction means it really comes into its own on the rough stuff, of which there is plenty in the Lake District; particularly on our route, which treads up and down a steep hillside near the picturesque lake of Windermere over sharp rocks as tall as cereal boxes and mud slopes so slippery you couldn’t hike up them. For this, we push the car’s transfer ‘box from two-wheel drive high into four-wheel drive low mode, which couples the eight speed with a 2.7:1 crawl ratio. The Wrangler makes mincemeat of it all. So effective is it in these treacherous conditions that it seems like only driver apprehension would cause the car to lose momentum. 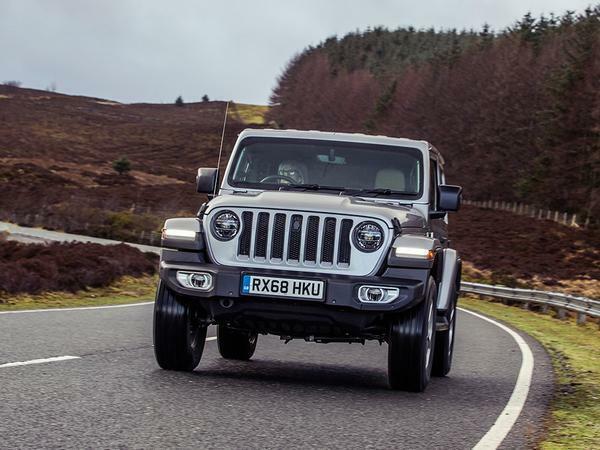 A quick roll back one or two feet is all it takes to regain pace, with the Wrangler Sahara – which is equipped with road-biased tyres we should add – clawing at the surface beneath and hurling its 1.9 tonnes forwards like a ticked off linebacker. 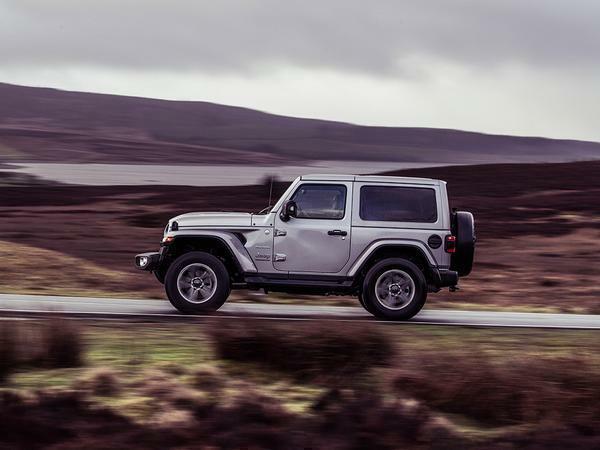 Since the Wrangler’s auto only, you never quite have the control of a manual like in, say, the Jimny, so you wouldn’t be able to rock out of trouble - but there’s so much low-down grunt on offer that the diesel Wrangler just creeps up and over everything its nose is presented with. On the descent, meanwhile, the brakes are strong and progressive enough that you can focus on steering without breaking a sweat. 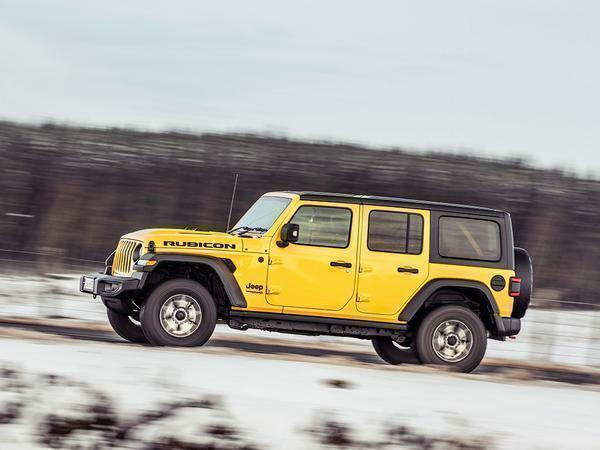 If the base car’s so good, what’s the point of forking out for the top-spec Rubicon? It’s two grand more at £46,385 and with the four-door 2.0-litre petrol we have here, it’s £1,980 more on top of that. 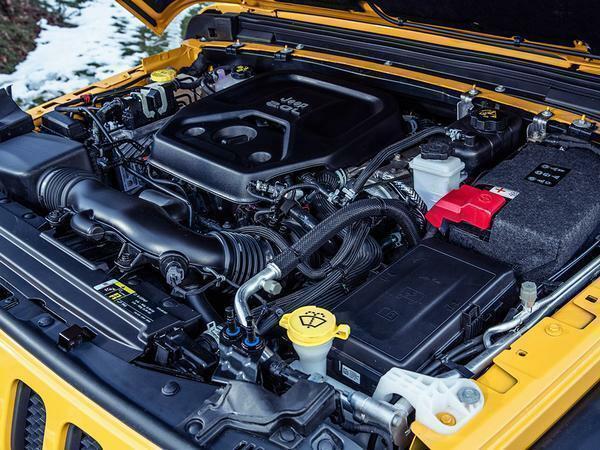 The engine, a turbo four-pot GME, has 272hp but comes mated to the same eight-speed auto. What the extra cash buys you is actually underneath. Added to the Rubicon are a pair of differentials, which can be locked independently, as well as an electronically disconnectable – at the touch of a button – front anti-roll bar. Unlock it and there’s more articulation providing, in theory, even more traction, as a set of BF Goodrich off-road tyres ought to. The transfer ‘box gets an even lower 4:1 ratio to maximise this. Unstoppable. 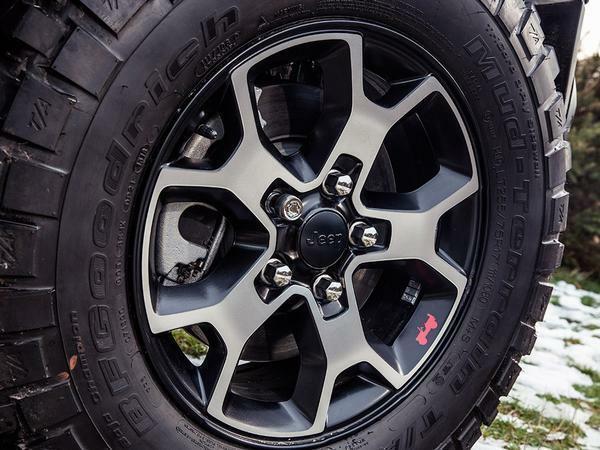 That’s the only way to describe this most beefed-up Wrangler. It tackles the same challenging routes with even less drama, the longer body and wheelbase barely troubled on their way to a distant summit. That said, the petrol engine, although clearly more potent on the road, feels comparably weak in this setting, requiring 3,000 revs to achieve its smaller peak of 295lb ft, so it's not as muscular as the diesel – and no doubt would be far thirstier as a result. While the four-door petrol is probably no less capable overall, the combination of the compact three-door body and torquey diesel is the most fun for the driver. 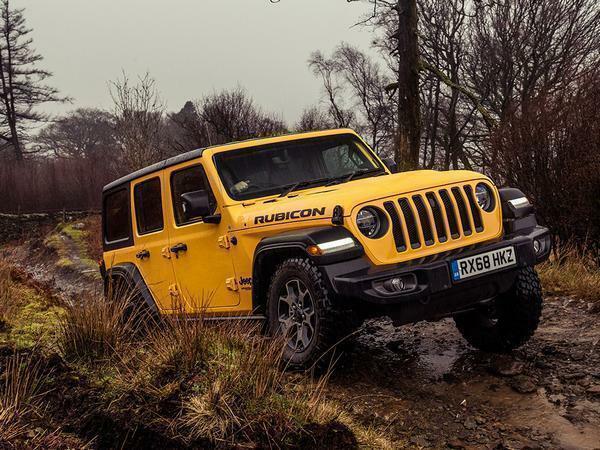 We’d have ours in Rubicon spec because, well, for a couple of grand more you really do have yourself the ultimate Wrangler. There is an elephant in the room, though. A baby one, perhaps - or small enough at any rate to be subjective - but the lack of footrest and slim space between the brake pedal and transmission tunnel was, for this tester, a little uncomfortable. While it’s no issue when you’re traversing Lake District rocks or driving short hops, it might prove troublesome on longer stints. The issue appears only to be a right-hand drive one, too. Certainly not a deal breaker, but perhaps a disappointing feature of an otherwise appealing machine. So should you buy one? 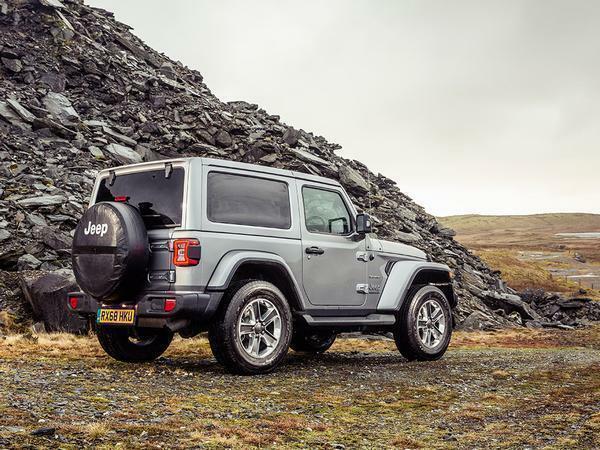 The Wrangler, even in base Sahara spec, is pricey in Britain what with all the costs added to get it here, so if you don’t venture far from tarmac it’s unlikely you’ll ever feel that value in the product. Although, to be honest, if you’re in the market for a 4x4 and don’t ever go properly off-road, you’re not really in the market for a 4x4 at all but rather an SUV or crossover. 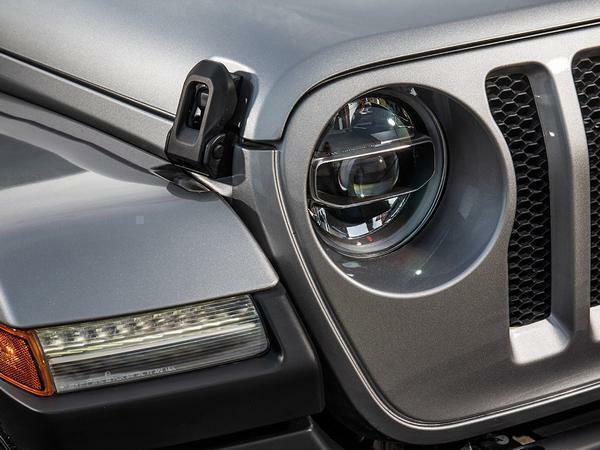 For some, the ultra-cool image of the Wrangler might be enough to sway them, but for those who do value go-anywhere capabilities, well, they needn’t look anywhere else. Unless they can squeeze into the equally as impressive - and much cheaper - Suzuki Jimny that is. This and the Jimny show that there is a market for retro proper 4x4s. Land Rover should take note with the Defender, rather than ruining its heritage and creating another lifestyle SUV out of it! Can't say I've noticed anything at all with the pedal spacing, it feels 100% standard to me. I have had my Rubicon 5dr for a couple of months now and totally love it. These cars have an increasingly rare quality, in that the have character, making them fun to get in and drive somewhere. Rather than simply being a machine that efficiently moves you from A to B but that's utterly devoid of any personality. ...and you can take the roof off! I test drove one in London and really liked it but there are some strange sales rules in play. 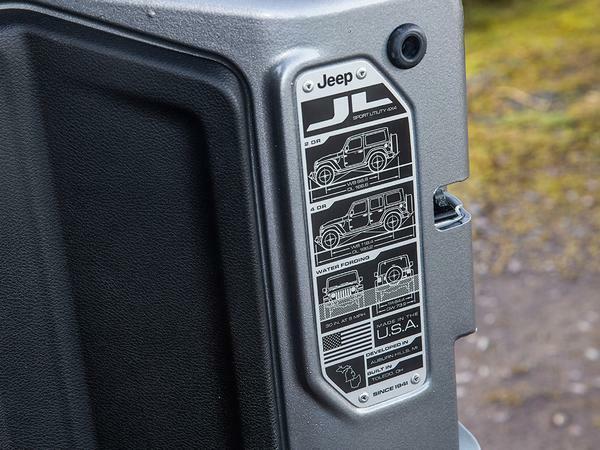 Like you can't spec your own, you're only able to choose out of what Jeep produces and sends to dealers. Also, the "removable" hardtop is apparently over 100kg, so a massive PITA to remove. Power soft top will be brilliant, but it's not available in the UK yet. "Sometime in 2019" I've been told. Always liked the look of these. Had a jimney and loved it but it had to go cause only 2 seats in the back. Am I just old or is that stupid expensive?